Published: March 21, 2014 at 02:59 p.m. Updated: March 21, 2014 at 03:56 p.m.
Not many predicted Mercer's upset win over basketball powerhouse Duke in the NCAA Tournament. Count down the top surprising victories in NFL history. 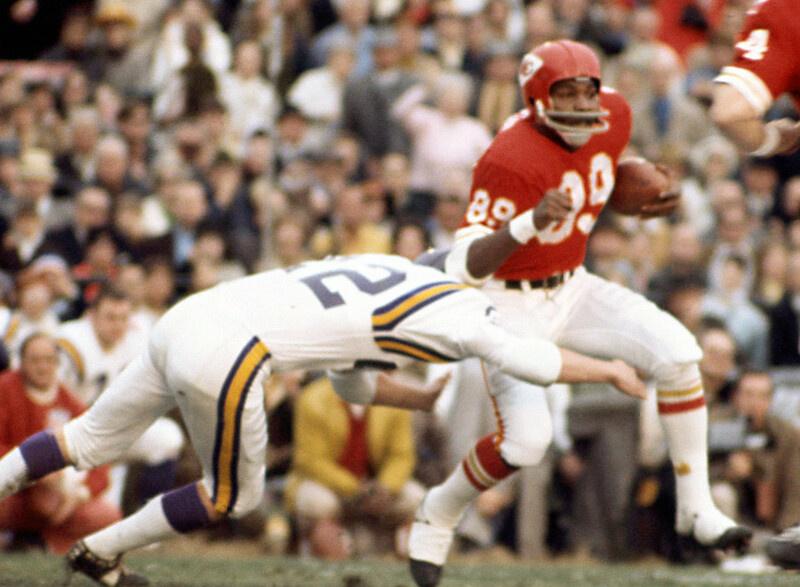 In the final game before the AFL-NFL merger, the Chiefs pulled off the upstart league's second straight upset win over the established NFL, downing the Vikings, 23-7. Not many believed that the Vikings could beat a 49ers team that finished 13-2, and featured Joe Montana at his peak and a rising WR in Jerry Rice. Behind backup QB Jeff Hostetler, the Giants put together a game plan for success against the high-flying Bills in this edge-of-your-seat thriller, winning 20-19. When replacement players were used during a strike in the 1987 season, the Redskins' final replacement game -- a 13-7 upset of the Cowboys -- helped inspire a movie. One year removed from their inaugural season, the expansion Jaguars went into Mile High Stadium in the second round of the NFL playoffs and shocked the football world, eliminating the top-seeded Broncos, 30-27. A year after the shocking upset against the Jaguars, the Broncos pulled off one of their own against the defending Super Bowl champion Packers, winning 31-24. Fresh from a move from the fledgling All-American Football Conference, the rogue Browns dominated the two-time defending NFL champion Eagles, 35-10. Before he married a supermodel and was a national icon, Tom Brady was a relative unknown leading the Patriots to an improbable Super Bowl win over the favored Rams, 20-17. The Patriots steamrolled to an 18-0 record en route to Super Bowl XLII, where the Giants prevented New England's pro football immortality with a 17-14 upset. Joe Namath made a famous guarantee before Super Bowl III, but not many believed the AFL's Jets could even match up with the NFL's Colts. They believed after the Jets won, 16-7.